On our first day in Yellowstone National Park, we stopped by a visitor’s center to find out Old Faithful’s “schedule” for the day. 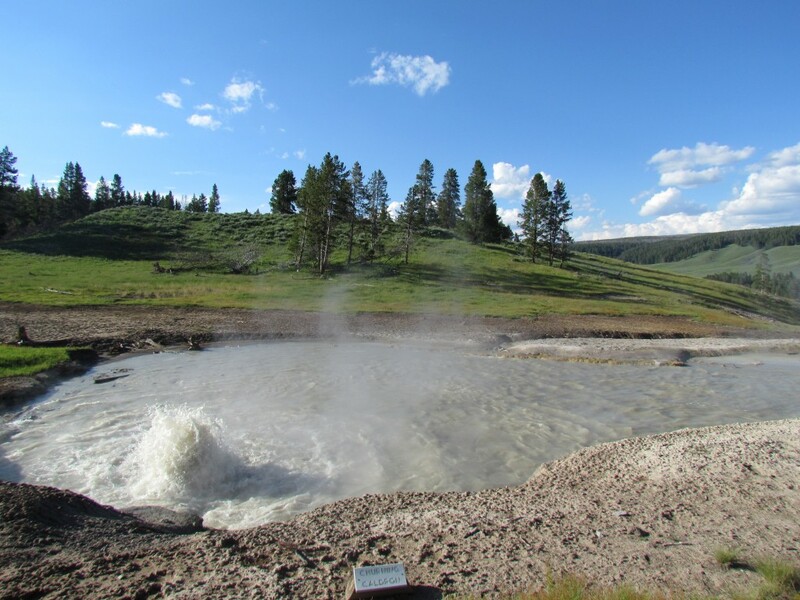 It turns out we just missed an eruption, so we decided to go on with our day and see all the geysers and thermal activity in the Norris area first, and then head over to Old Faithful. 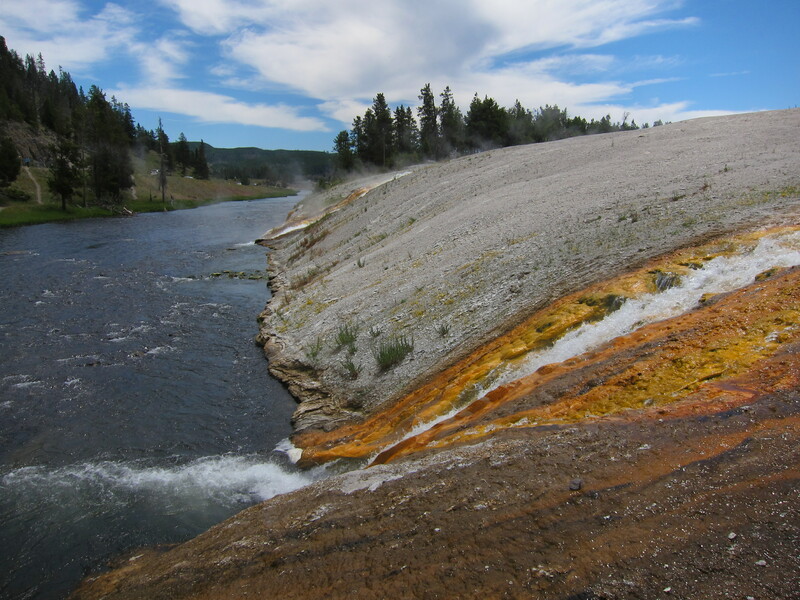 There is so much thermal activity in Yellowstone: geysers, thermal pools, mudpools, and steam vents (fumaroles). 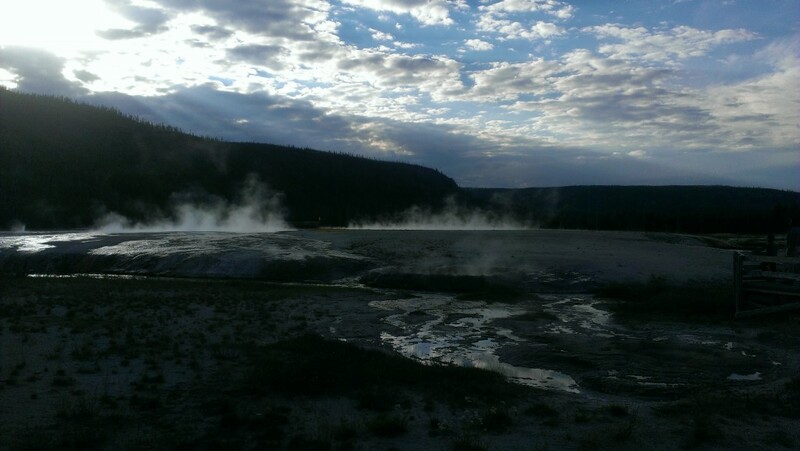 Some geysers erupt every few minutes. Some every few days. And some every 100 years or go. The thermal features are clustered together with boardwalks built between them for easy access. 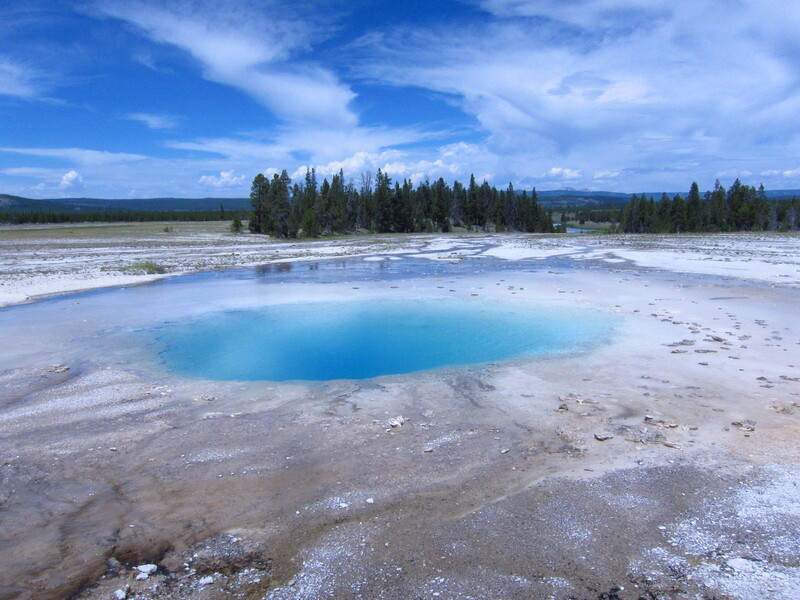 There are some areas where as you walk by there are things bubbling to the left of you, spouting water to the right of you, and steaming all around the horizon – it really felt like were were exploring another planet. 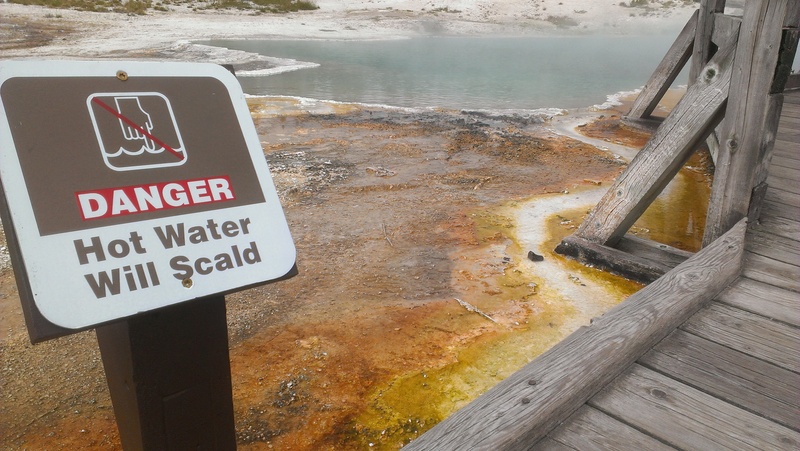 But all that thermal activity comes with a price: it is stinky! 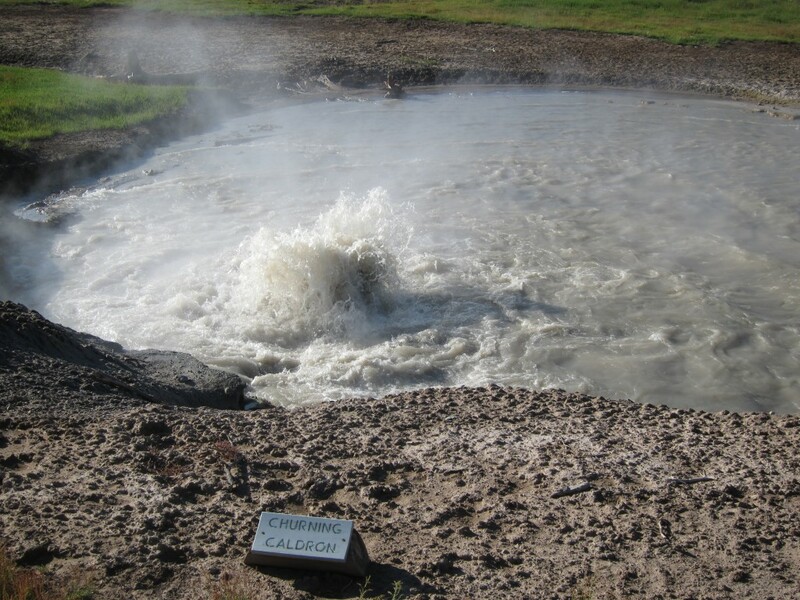 There were times we would walk by a fuming hole and feel the moist air suffocate us with hot rotten egg smell. Definitely not pleasant, but all part of the experience! The thermal pools and rivers are all different colors. 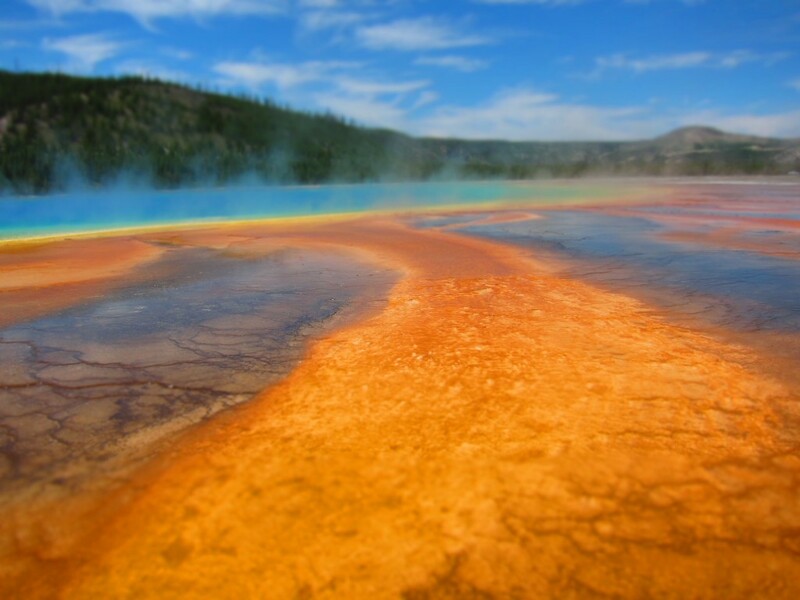 The dazzling colors come from the thermophile bacteria that live in the waters. They are all different colors depending on how hot the water is! 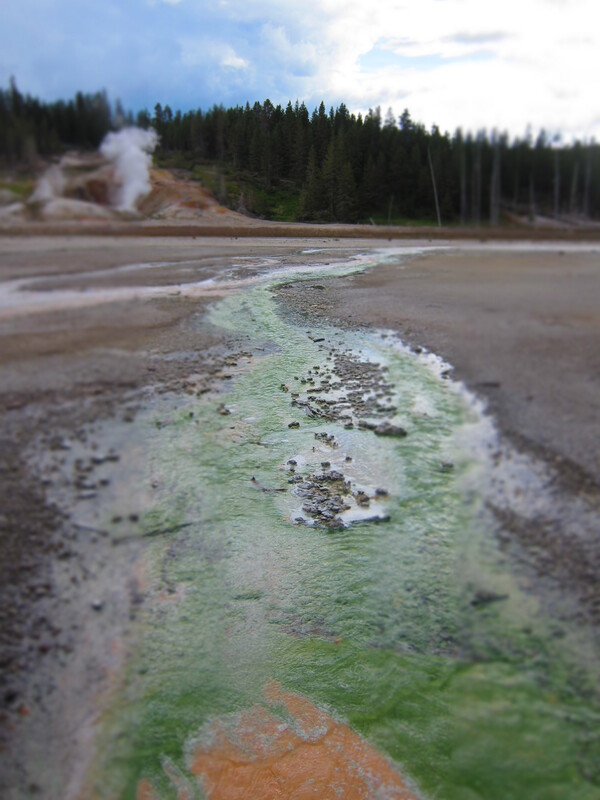 But be careful, some of the water is super acidic. 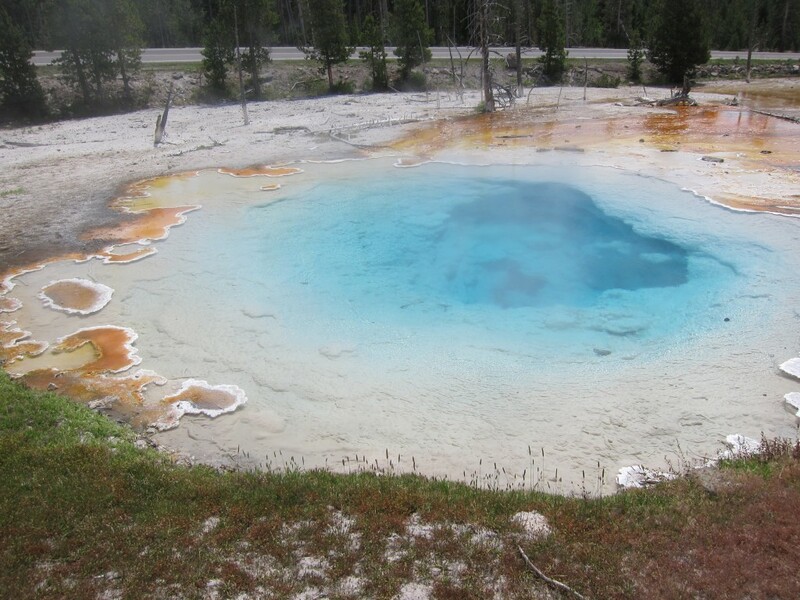 We saw one pool of water where there were a bunch of bones in there, and I suspect that part of the reason is because the water is so acidic it just ate away at the flesh of whatever died in there. Stay on the boardwalks. 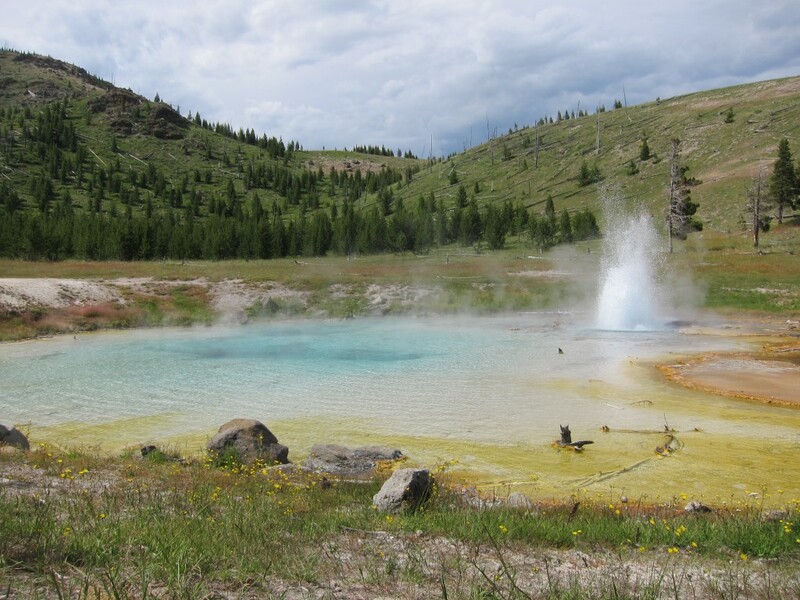 The geysers and all the colorful pools of water were definitely the highlight of Yellowstone. Even if this was all we saw, the trip would have been worth it. 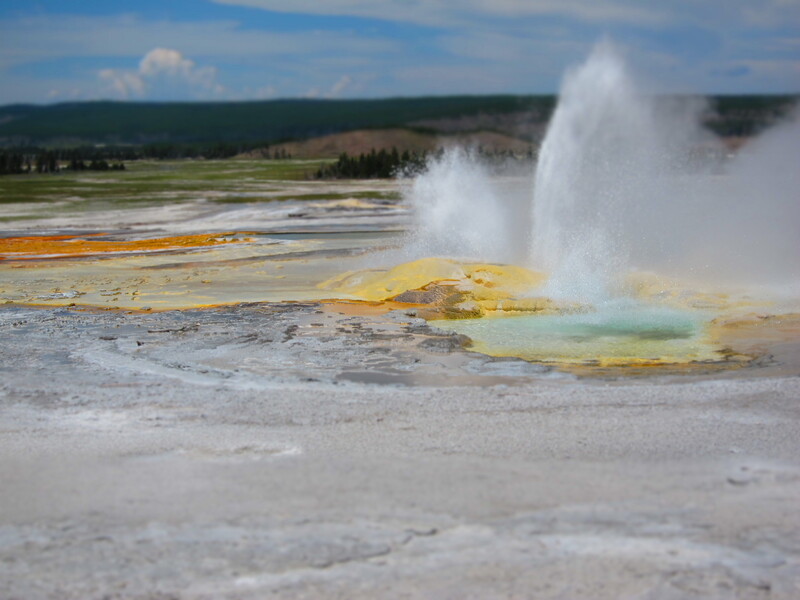 ← Old Faithful Geyser – #1 Attraction at Yellowstone?